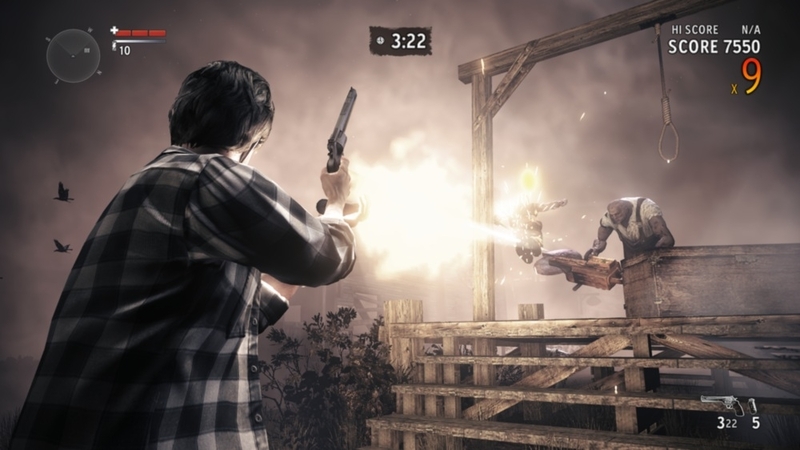 Alan Wake's American Nightmare is an 5-7 hour experience that will satisfy fans for the hopeful release of Alan Wake 2, as well as introduce new players to the Champion of Light. Taking place in Arizona, Alan finds himself battling the Taken and his evil doppelganger, known only as Mr. Scratch. 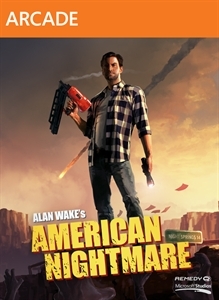 While the game does take place after the original Alan Wake game, starting on American Nightmare would not only introduce players to the fun flash and shoot gameplay, but really make you want to play the original game, which you can probably find for a decent price nowadays. 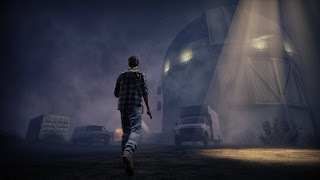 Developer video diaries for American Nightmare detailed that this game would be more about action – saying the game will be 70% action and 30% story, and it pretty much is. The Taken appear frequently, offering you more chances to wield your weapons with the always trusty flashlight, and you'll be happy with the arsenal in the game. Weapons are everywhere, and more can be unlocked depending on the number of manuscripts you have collected in the game. There are 53 to find, and with them you'll be be to find combat shotguns, crossbows, mini Uzis, and magnums, provided you have enough manuscripts. Based on locations in Arizona, you'll venture through three distinct places, which look nice and are pretty open, so mobility in combat is great. Besides trying to stop Mr. Scratch, you'll come across a few characters that help the story, but most of the detail will come from TV's around the game, and the live-action cutscenes. The voice acting is great once again, and the eerie sounds in the various areas only heighten the tense moments when fighting the Taken. Be sure to dim the lights and ramp up the sound when playing. Once you've had enough of the story mode, there's an arcade action mode to check out which is a lot of fun. 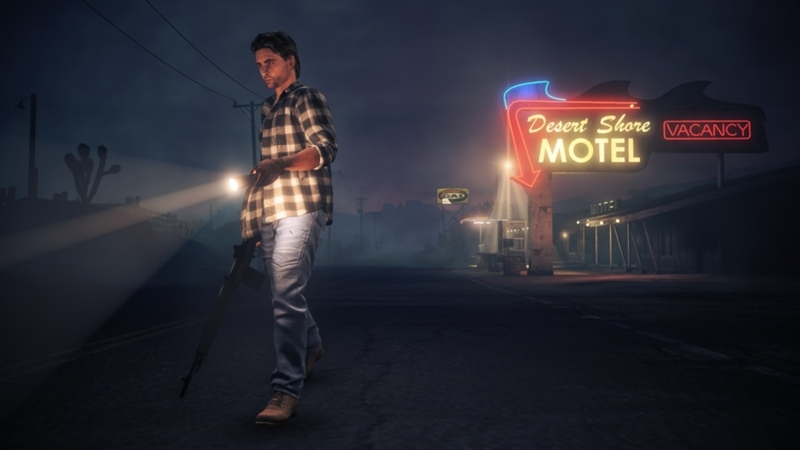 Titled 'Fight Til Dawn', this survival mode tasks you to survive for ten minutes against increasingly difficult Taken with weapons scattered around the maps. Racking up a great score not only depends on defeating enemies, but points, your killstreak, and variety in kills will help boost your score on the leaderboards. 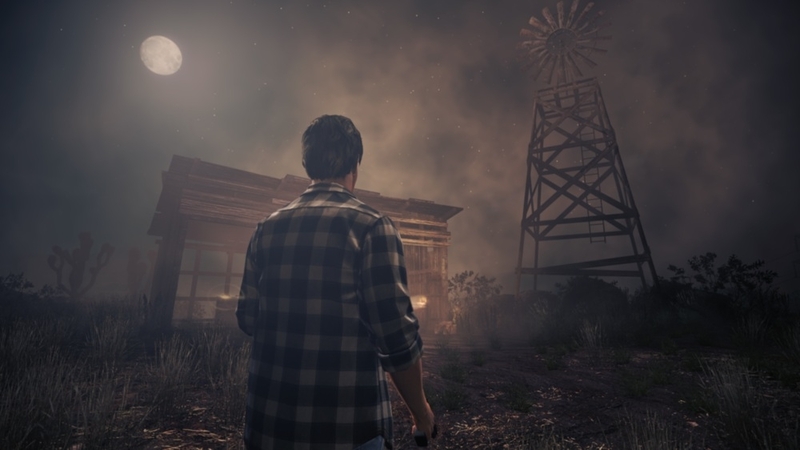 There's also a nightmare mode for each level, so if you want a tougher challenge, its available for you. 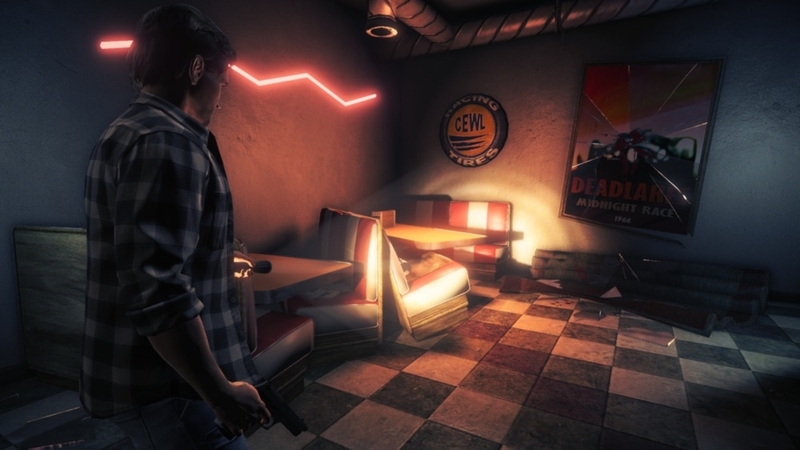 It's not Alan Wake 2, but Alan Wake's American Nightmare is a fantastic arcade game that is well worth the $15 price point. I hope more major developers like Remedy will release more titles on XBLA because you can delivery great content in a faster and easier way, rather than waiting for the next iteration of their games.